The Express Service for iPhone AT&T Unlock is now working steady since 2 weeks. But we’re pleased to introduce today a new cheaper service to unlock all iPhone 2, 3, 3GS, 4, 4S from AT&T in 12<>24H. Service open from Monday to Friday from 8am to 3pm (UCT-5) usually all code submited before 8am are ready in the next 5 hours ! As you may have notice the last 2 weeks we offered quietly two services to unlock iPhone from AT&T. The turnaround for delivery for these was 3<>8 working days. In the end theses two services was not very reliable BUT we working on this and we finally find a source able to provide code in less than 24H from Sunday to Friday ! As quality is what matter we decide to only offer one service to unlock all iPhone 2, 3, 3GS, 4 and 4S from AT&T USA in less than 24H ! Warning: Many people get cheated recently trying to unlock iPhone from AT&T… Don’t let anybody try to fool you with low price, in the end you’ll just wait for ever for this dream supplier to spend your money on your hard earned money that you may never see again. iPhone Unlock Business use lot of cash and don’t let this cash disapear (this even happen to us). UnlockBase offer unconditional refund policy on iPhone Order if you have pending IMEI and service stop. 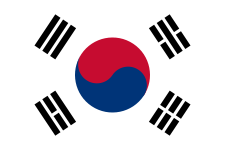 We’re pleased to inform that we can now unlock all iPhone from South Korean Network using the tool “KT, Show & SK Telecom South Korea – iPhone 2G, 3G, 3GS, 4, 4S“. You’ll see what’s the activation carrier only if the phone is activated ! New Service to unlock all iPhone (including 4S) from KPN Netherlands in 1<>24H was added today on UnlockBase. Price is 19 EUR or 25 USD or 16 GBP. Service 100% tested and working ! We are now able to unlock all iPhone (including 3GS, 4 and 4S) from Vodafone Netherlands in less than 24H. Price is 36 EUR or 49 USD or 31 GBP and service is 100% Tester & Working ! Permanent Factory Unlock solution, your phone won’t be relock when you perform firmware upgrade.